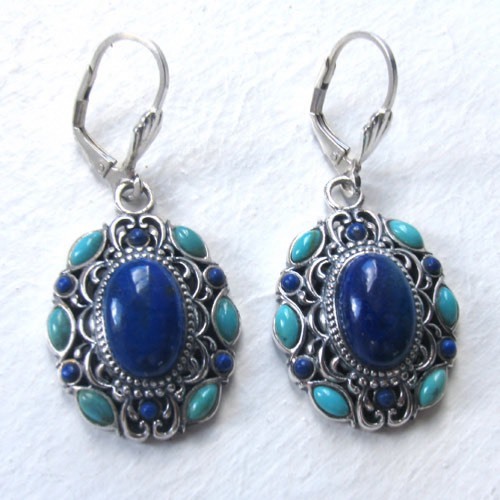 Lapis lazuli and turquoise earrings in sterling silver. 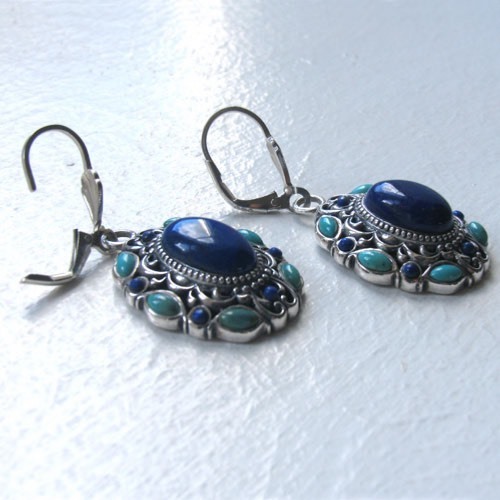 If you're looking for a little flamboyance in your ears, look no further. 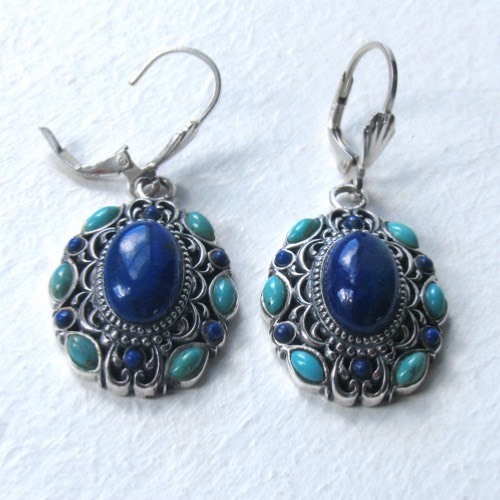 These stunning, intricate earrings are a work of art. 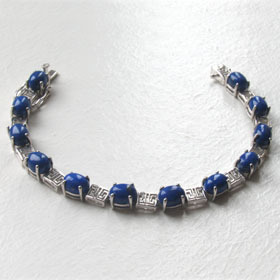 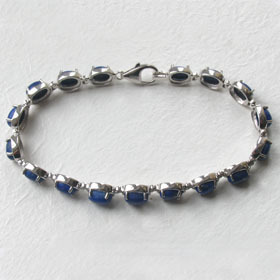 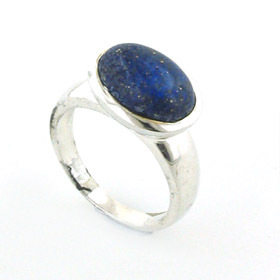 The centre stones are oval lapis lazuli gemstones, bezel set into the ornate sterling silver design. 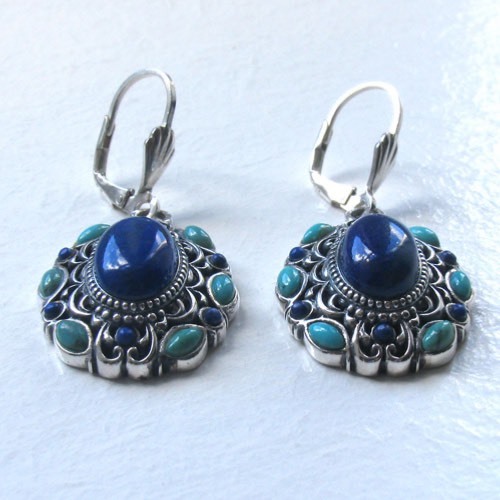 They are slightly raised in the design which is gently domed towards the centres. Around the perimeter of the design are 6 round lapis gems and 6 marquise turquoise gems. 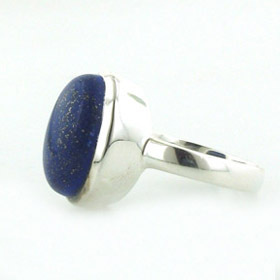 The stones are top quality, well matched and expertly set. 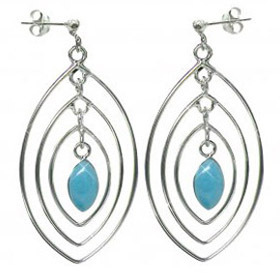 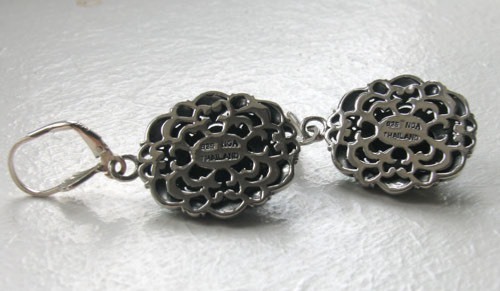 The backs of these earrings are also worth flaunting - a beautiful design of swirls and cut outs. 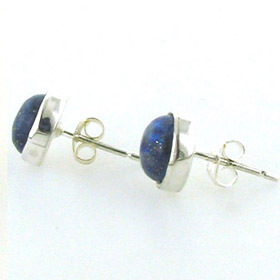 These earrings fix in your ear with lever back hook fasteners. 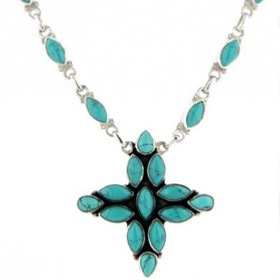 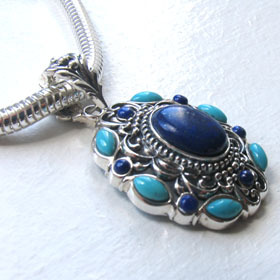 See the matching lapis lazuli and turquoise pendant.